On this site you will be able to find a diary of a life in Italy, the renovation of a Salento home, art, nature, people and the perfume of a special place I know and begin to call home. Sign up for the newsletter and new postings and friend me on FB. 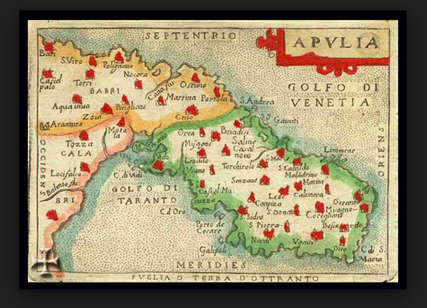 Here are some recent US articles on the Salento. A nicely written article on the Salento: "The Allure of the Salento"
and slide show "Summer in the Salento"
and also "36 Hours in Lecce"
Mary Judge: artist, gallery owner, designer, italophile.